Passionate leaders see life as a mission. So they go above and beyond to fulfill it. They walk their talk, they convey their beliefs without dismissing others, and they stay committed when times are hard. But most of all, they don’t settle. To be able to say that your work is your life and you wouldn’t change it for the world, now that’s self-fulfillment! Mentality wise, the differences between people who live paycheck to paycheck and those who run their own successful business are vast. For one thing, the former group leads a life of pressure where stress is the norm. They see the world as a jungle that rewards only the fittest, a race to a safe heaven that will hopefully occur before retirement. The latter group worries too, but about different things. Like failing to change the world. 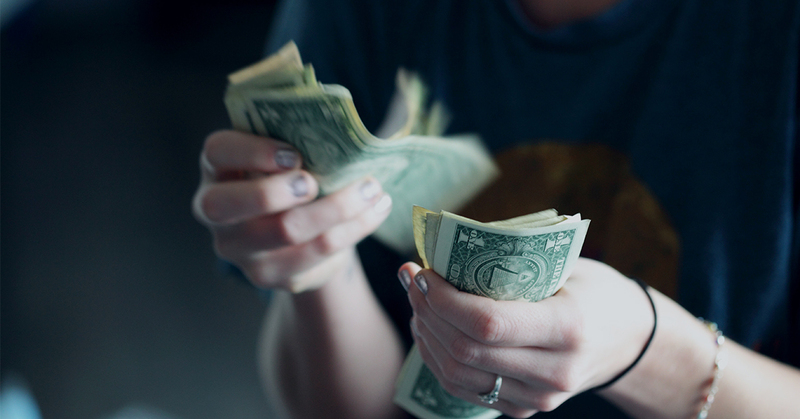 Sure, there are plenty of leaders who get caught in the money game, but many also make their work their life’s mission. Henry Ford and Steve Jobs both upheld that the simple act of caring about the work ensures that you’ll make a fortune in the long run. Their achievements are enough to confirm that it’s true. It’s a self-fulfilling prophecy because great leaders are often visionaries, and visionaries are often passionate about what they do. Unlike your typical 9-to-5 worker, a true leader carries a world-changing agenda (more or less physical, depending on the time-frame of reference). This agenda contains a list of things to do and people to see meant to converge into something that will ultimately leave a dent in the universe. Or at least in this solar system. By contrast, your average Joe carries a list of things half of which you can tick through with a single visit to the convenience store. At best, his passions are personal and do little to influence society. In many ways, leaders are artists that exploit resources to write the future. Unlike regular folk, a leader’s hobby has the potential to affect millions. Everyone has decisions to make, from picking the right shirt to wear for an interview to choosing a salad over a burger when we’re watching our weight. These are decisions that everyone is confronted with, regardless of profession. But when you are bent on making things happen, decision-making becomes a more important aspect of every-day life. Politicking, reaching strategic conclusions, facilitating dialogue and keeping momentum require a high-degree of settlement, commitment, and determination that most of us simply don’t have. Mortals waiting for the clock to strike 5 have a much scarcer list of resolutions. Their work gets scrutinized with performance measurements, while their decisions mostly only affect them personally. Dan Price, CEO of Gravity Payments is perhaps the best recent example of decision-making from a leadership role. The young entrepreneur caused a media firestorm in June when he decided to pay all his 120 employees an nondiscriminatory annual salary of $70,000. He threw himself in the mix by renouncing his $1,000,000 salary in exchange for the same minimum wage. Investors cried, his brother sued him, but profits ultimately soared thanks to the attention it got from the media. Gravity got flooded with stories from thrilled workers elsewhere who suddenly got similar raises from converted bosses who’d understood the value of setting an example. Say what you will about complainers. After decades of non-stop bickering from different bosses with different agendas, some people just want to lay down their arms, move to a sunny place and go fishing every day. Which draws another line between working class citizens and the high rollers. As noted above, most (if not all) great leaders regard their work as their life, and their life as their work. Virgin Group founder Richard Branson, age 65, recently went on record to say that, when it comes to work, he doesn’t believe there’s a finish line, a time when you have to step off and call it a career. Branson doesn’t see work as work, or play as just play. “I just see the two as one wonderful life that I lead, so no plans to retire,” he said. Maslow’s Hierarchy of Needs paints an accurate picture of what gets us out of the bed every morning. 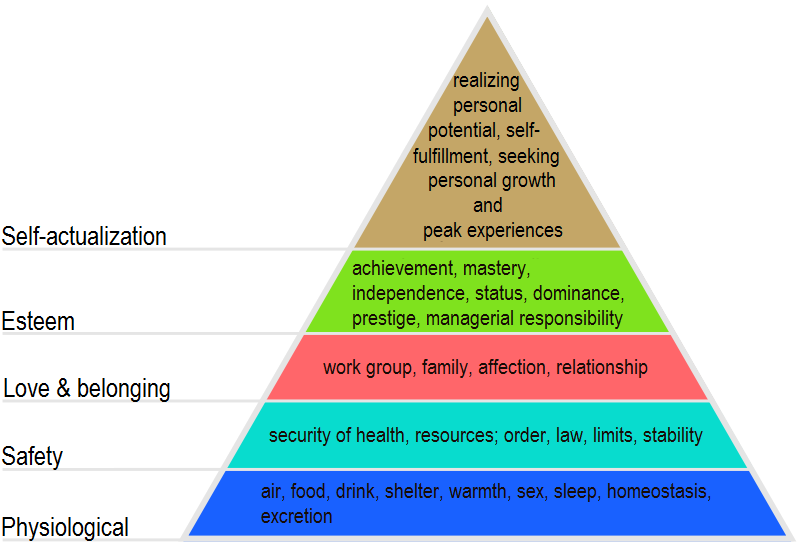 Our work, described by Maslow as “realizing personal potential and self fulfillment,” sits at the very top of the pyramid. Some expect to achieve it by landing a sweet spot job. Others change jobs until they feel they are at least on the right track for personal growth. But most people prefer security, and that usually means toiling away at a steady-but-dreadful job in exchange for that monthly paycheck. Yet, not doing what you love means you are failing at the most important aspect in your quest towards being a happy camper.